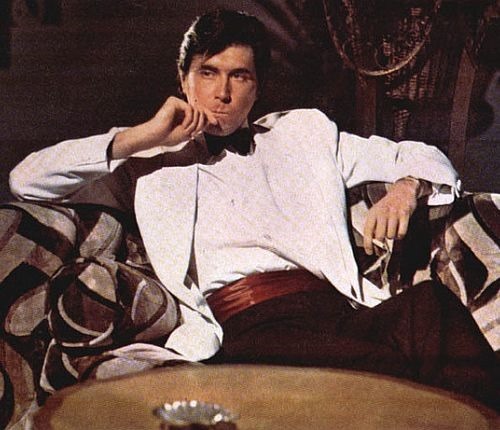 At the weekend, 70s/80s Roxy Music legend Bryan Ferry dropped an absolutely massive collection of reMixes of his 1985 single, Don’t Stop The Dance. It’s a classic tune that was ripe for reMixing and the line up he has picked to do the deeds is pretty impressive. There’s a whopping eleven reMixes in the package, including these three choice cuts from Todd Terje, Punks Jump Up and Psychemagik. Terje’s take in the tune is truly sublime. Surpassing even his last encounter with Bryan Ferry (he previously reMixed the Ferry track Alphaville), Terje gets into a spiralling Cosmic Italo groove that is unrelenting for it’s whole ten minute length. Undulating arpeggios and chilly Scandinavian Disco beats clash with space age synths and Dubbed out vocals until the whole track coalesces into one big, tight, funky synthetic siren’s song. Punks Jump up deliver some of their particular brand of sax fueled, late 80s influenced, jump up House tunes. Introducing a bouncy synth bassline and swirls of intoxicating retro sounds and haunting horns, Punks Jump Up’s is definitely the one we’re most excited about hearing on the dancefloor. Blissed Out Nu-Disco hippy Psychemagik’s take on the tune wraps the original in a variety of vintage House sounds and a trippy Disco vibe. This is quite a package they’ve put together, and it sounds like these guys had a lot of fun playing with this tune, the results are certainly worth checking out. Bryan Ferry’s Don’t Stop The Dance reMixes are out this week.